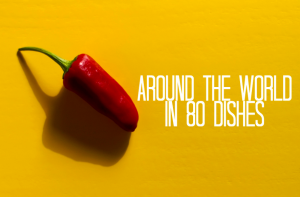 Indonesia is a country that prides itself on its local cuisine, for the dishes that are famed for their scintillating taste and delicious flavor. 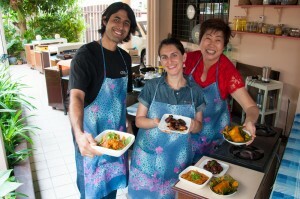 The food has been influenced by so many nations like the Netherlands, India, China, and many more. If you ask me what is my favorite Indonesian food, then I will have a hard time answering you. Seriously! 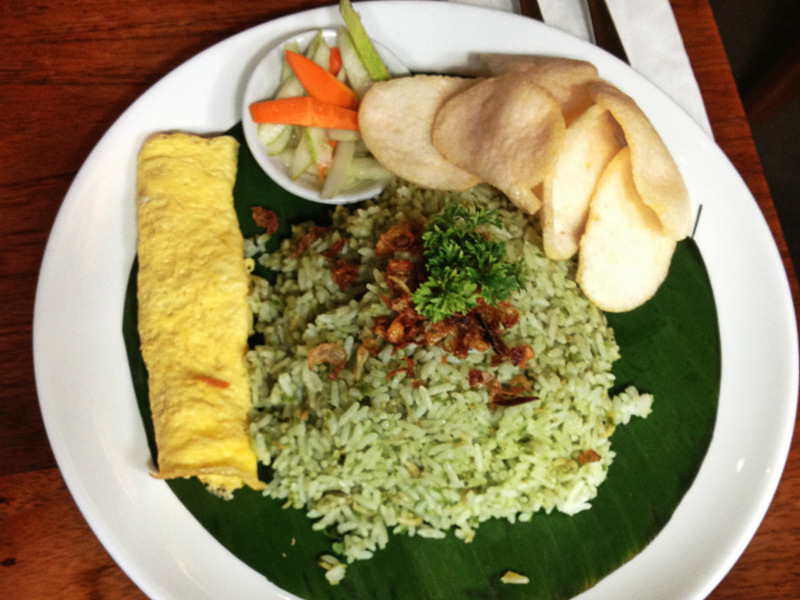 Rice is a staple food in Indonesia, no wonder there are so many variety of cooking rice. We have coconut rice/nasi uduk, yellow rice/nasi kuning, nasi bakar, nasi ulam, nasi liwet and many more. 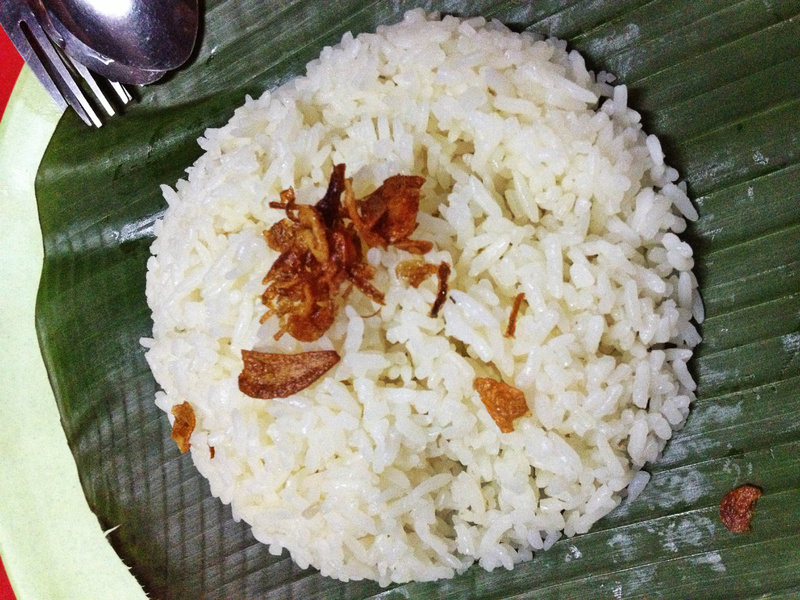 My favorite is Nasi Uduk or Coconut rice: this kind of rice goes very well with fried/grilled chicken/fish/duck. 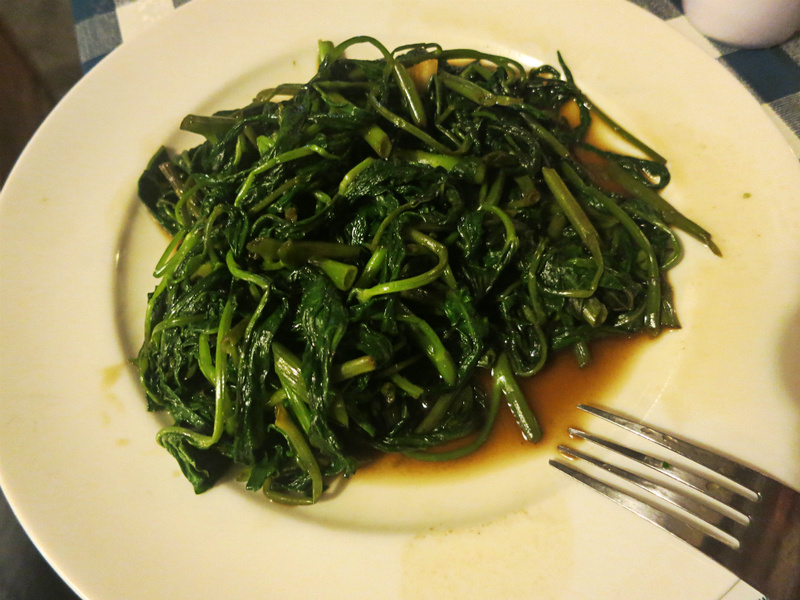 Kangkung is water spinach and Cah Kangkung is a famous dish that you can find in almost every Indonesian restaurant or side street stall. This vegetable is really tasty and easy to cook. Satay is a dish of cut up pieces of meat that is skewered, usually on a piece of bamboo. 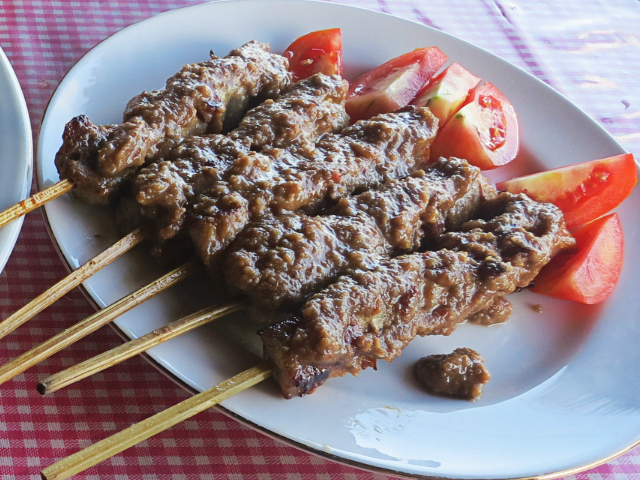 Satay or sate may consist of diced or sliced chicken, pork, buffalo, goat, beef, fish and other meats. Satay is usually served with either peanut sauce or a spicy sauce made from soy sauce and sliced pieces of chilly, tomatoes and garlic. There are so many different types of Nasi Goreng. I usually eat Nasi Goreng for breakfast, together with a tiny sliced omelet, tomatoes, cucumber and crackers. However, the street food vendors make this dish as a popular very late night dinner choice. Nasi Goreng is seasoned with various sauces and spices and may be made with an array of additional ingredients that include meat (chicken, goat, etc), seafood and vegetables. Believe me, most Indonesians can’t really live without it (and maybe crackers!). We have so many different types of sambal. For example, if you have barbecued fish in Sulawesi or Java, it will definitely come with different sambal. 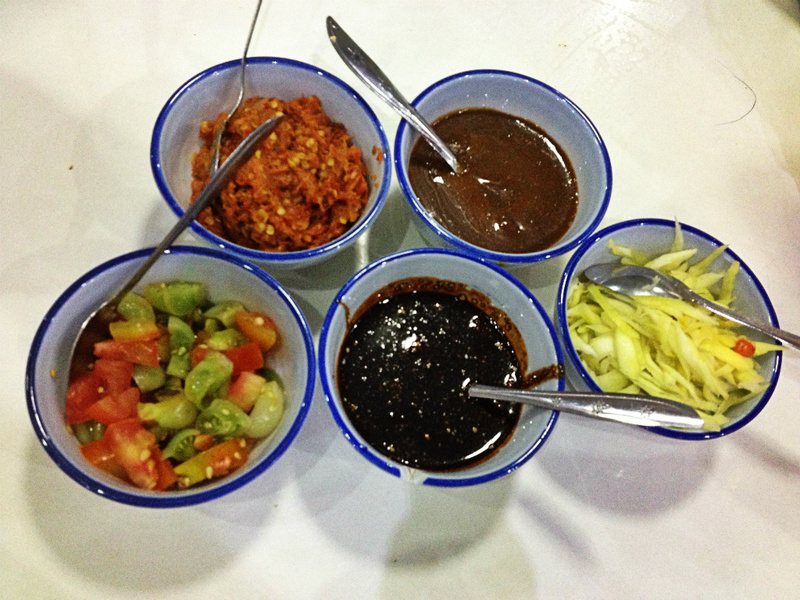 In some restaurants, one dish can come with six different types of sambal. Be careful when you decide to give it a try as the Indonesian standard of spicy is quite hot! 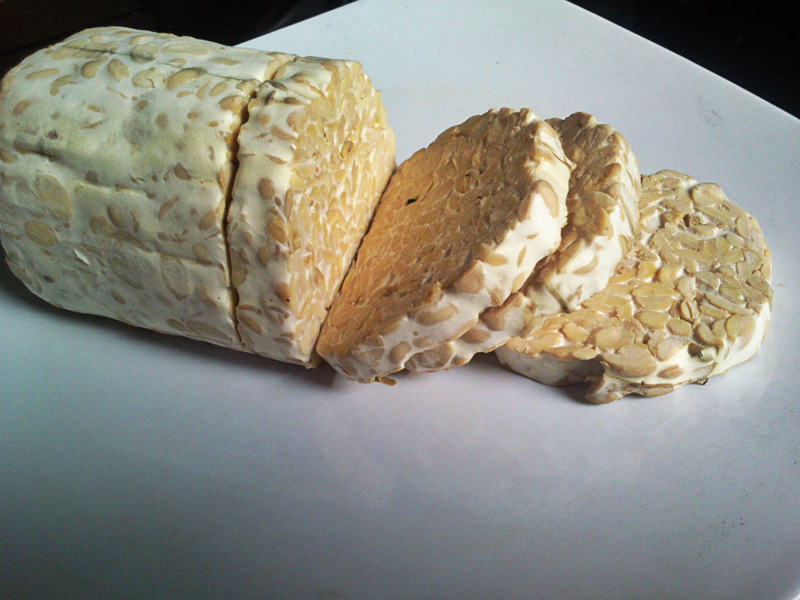 I love tempeh, especially Tempeh Bacem, even though the other forms of tempeh like Oseng-oseng tempeh, Tempeh goreng (with or without flavor) are also delicious. This dish is great if you are a vegetarian traveling through Indonesia as it is made from soybeans and is quite easy to find anywhere. 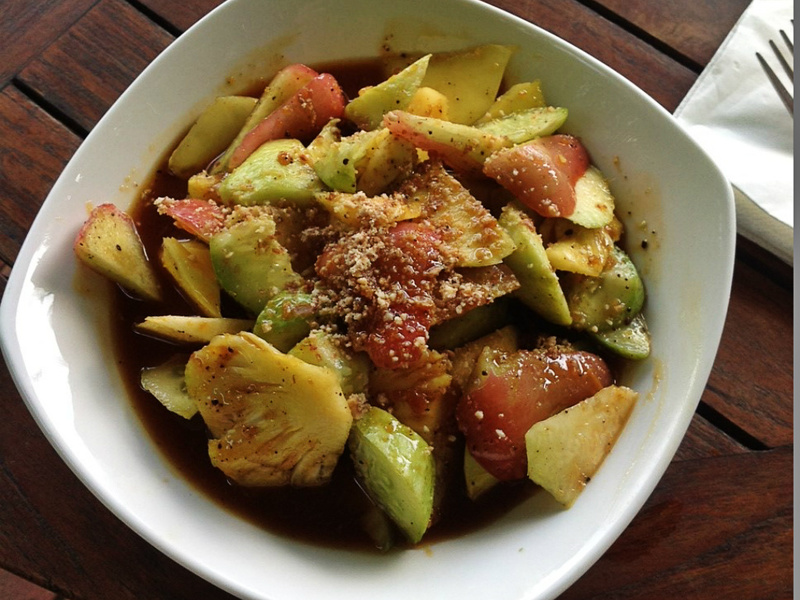 Rujak is a kind of fruit salad, but with a savory spicy sauce. Some variations of Rujak come with spicy peanut sauce. All of the fruits are sliced to bite-sized pieces and put into the dish. It is a very tasty and refreshing dessert. If you don’t like spicy food, then don’t forget to ask the Rujak seller to not pour the sauce directly onto the slices of fruit. 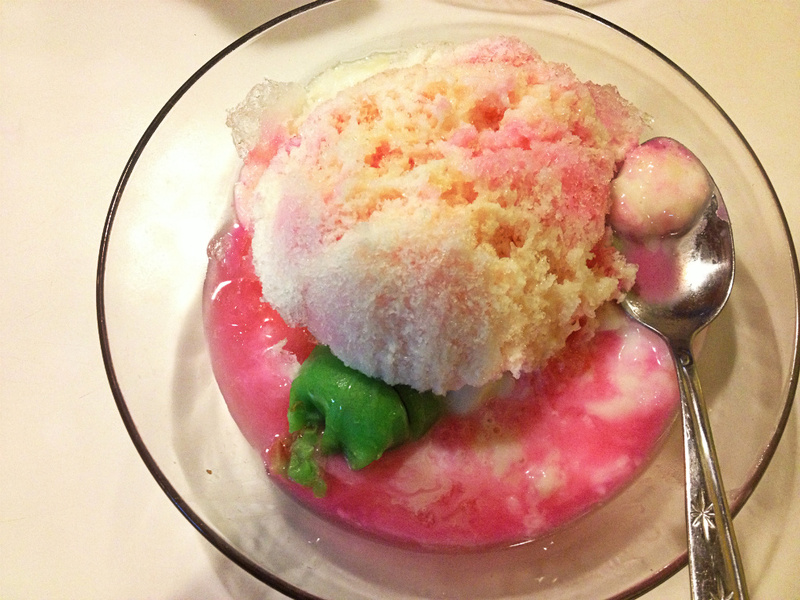 I love Indonesian local desserts and my favorite is Es pisang ijo, which is originally from Makassar, South Sulawesi. This dish is made from banana, covered with sticky green rice and covered with white creamy yummy stuff and sweet pink sauce. don’t forget to let me know what is your favorite dish! FIRSTA is a proud Indonesian who loves the ocean and the beach as much as the forests and the mountains. 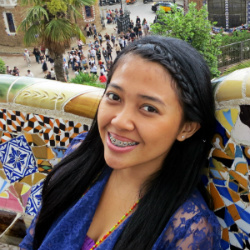 She likes to explore new places, meet new people and improve her photography skills. 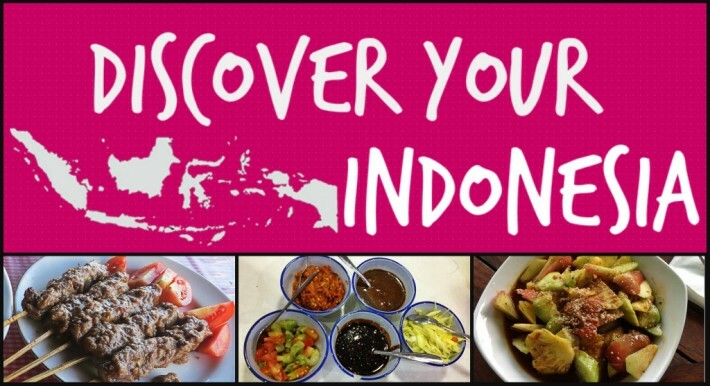 She shares her experiences, pictures and thoughts at Discover Your Indonesia. 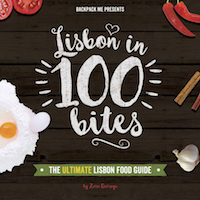 Are you a foodie traveler? 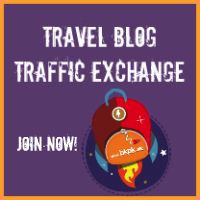 Share one of your food stories here on Backpack ME! Yum yum yum and more yum!!! All these recipes are tasty and delicious… I’ve been tried all foods. A great range of dishes and excellent photography. Delicious looking dishes. I’ve had satay and coconut rice so I know those are good. I’d love to try the tempeh and rujak.